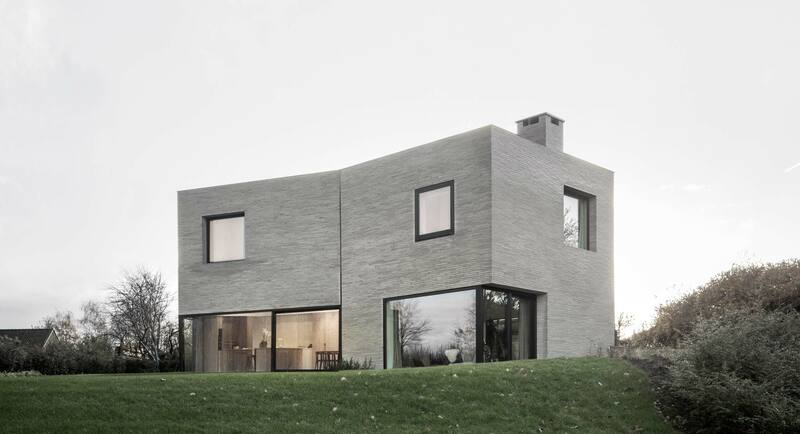 Graux & Baeyens Architecten were given complete freedom when it came to the form of House J-VC in Belgium, and it shows. 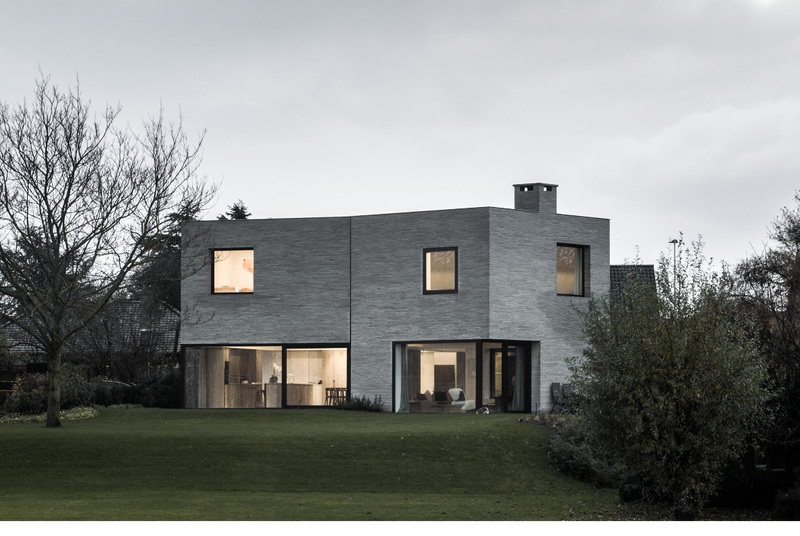 The striking property is formed of three two-storey volumes, all connected by uniform usage of long grey bricks manufactured by Petersen Bricks in Denmark. 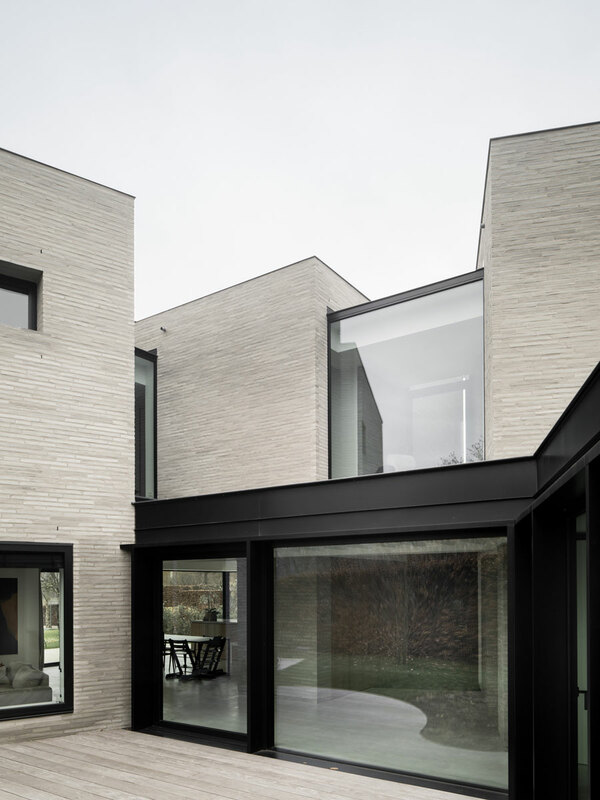 The bricks not only cover the exterior of the house but are left exposed within as well. 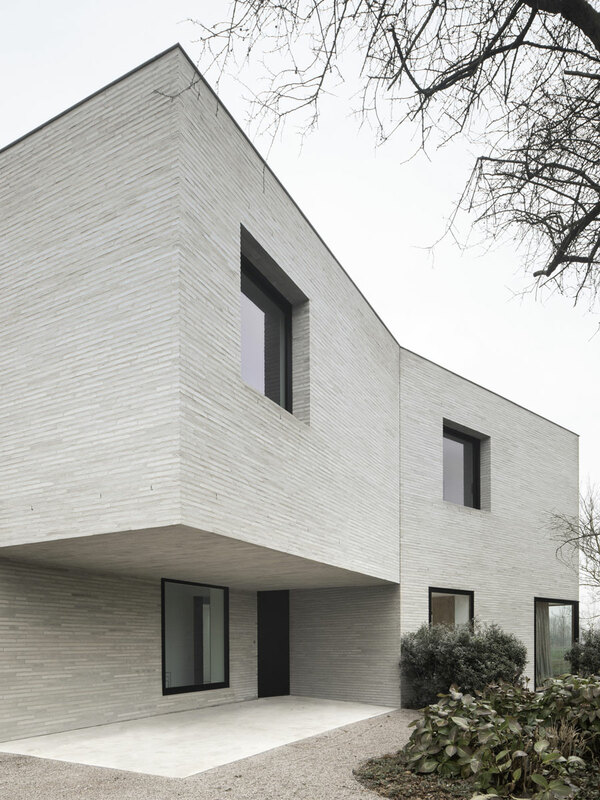 The shape of the house is designed to maximise the use of space and natural light, while keeping a distance from neighbouring houses, and not sacrificing views over the river at the rear of the house. Black aluminium cladding contrasts with the lighter bricks to produce a mixture between modern and traditional materials, which seem to blend seamlessly. The interior of the 198 sq.m. property is minimal and spacious. Reserved interior design has freed up vast amounts of space that is routinely flooded by natural light pouring through the many windows. Surrounded by a huge outside area, and with ample interior living space, we think this is one of the most stylish family homes we’ve seen in a while. 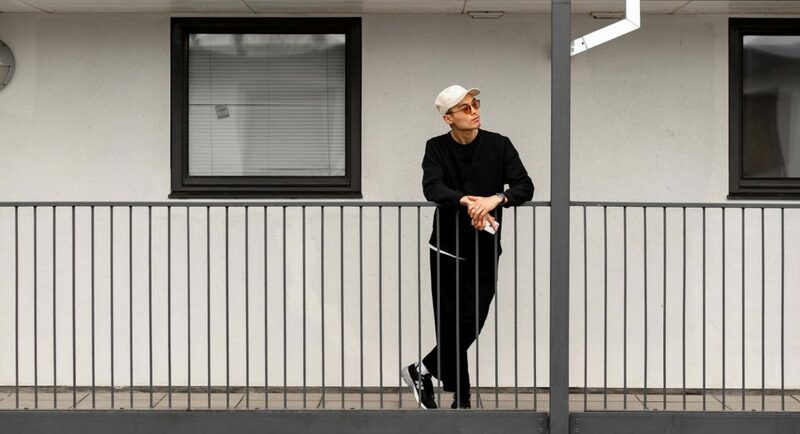 Stay up to date with all of Graux & Baeyens Architecten incredible work by following them on Instagram, @grauxbaeyens.architecten. If you’re on the hunt for more of the world’s best architecture, then check out Chris Tate’s spectacular rainforest Tent House.